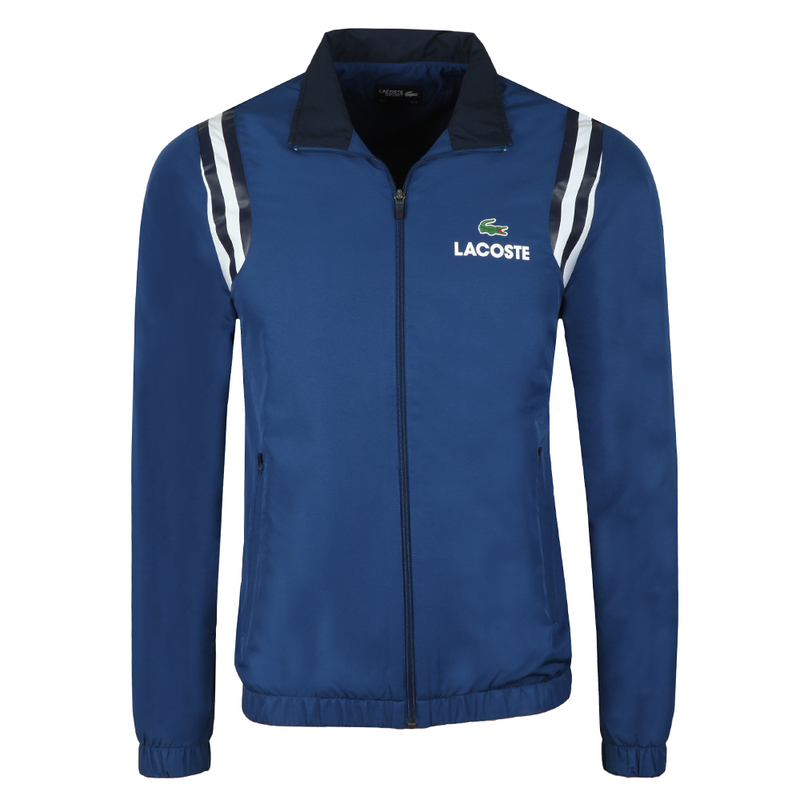 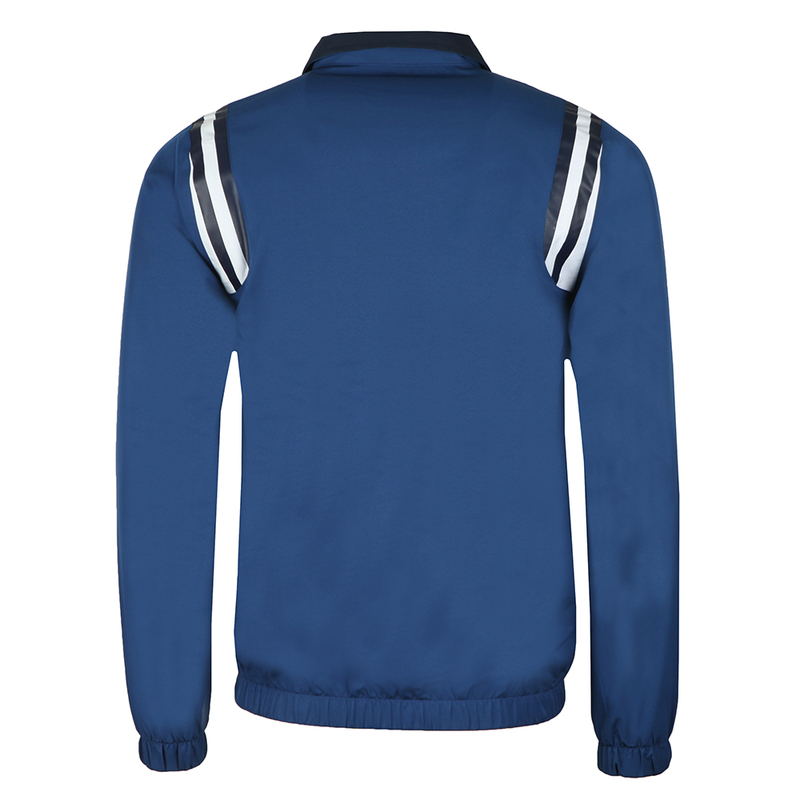 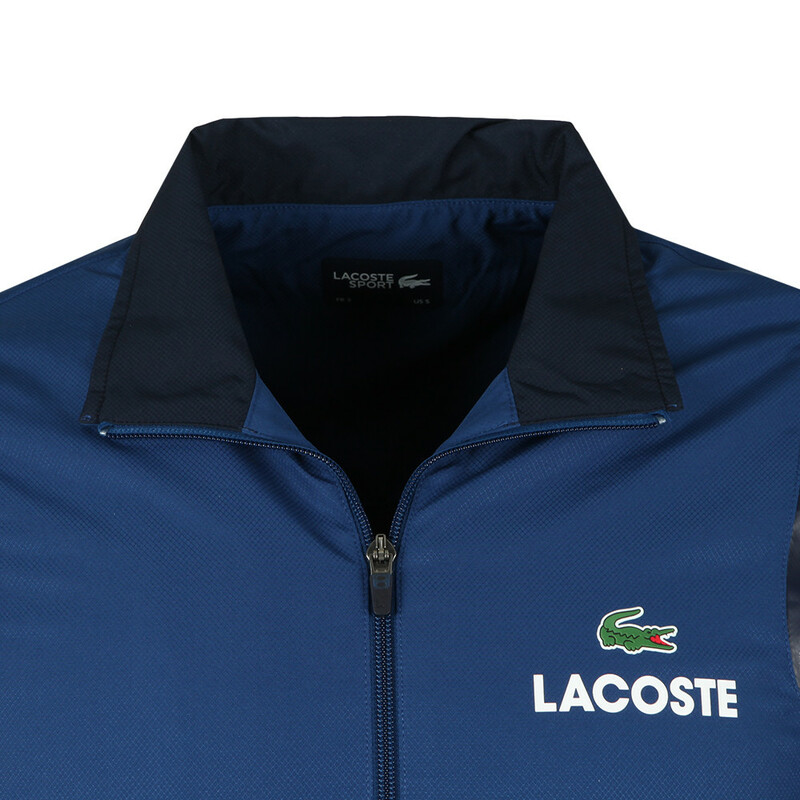 The Lacoste Sport WH3380 Tracksuit in Marino/Marine Blanc has a full zip closure top that has been given a striped detailing at the shoulders. 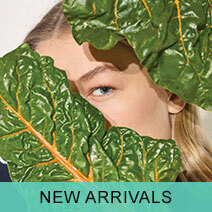 Lacoste have added printed branding on to the chest and elasticated cuffs and hem for a better fit. 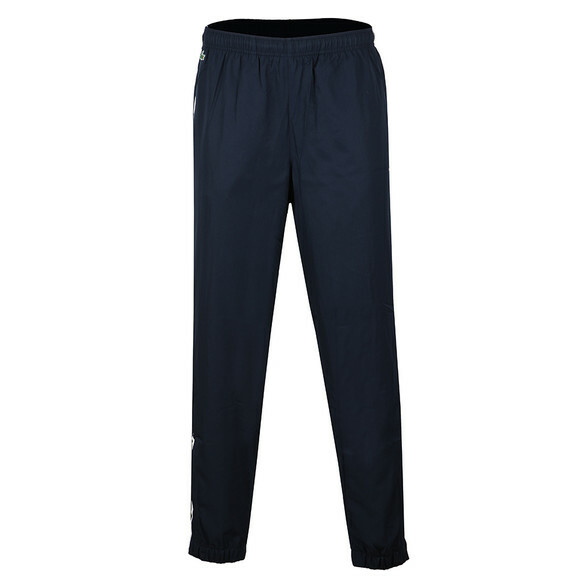 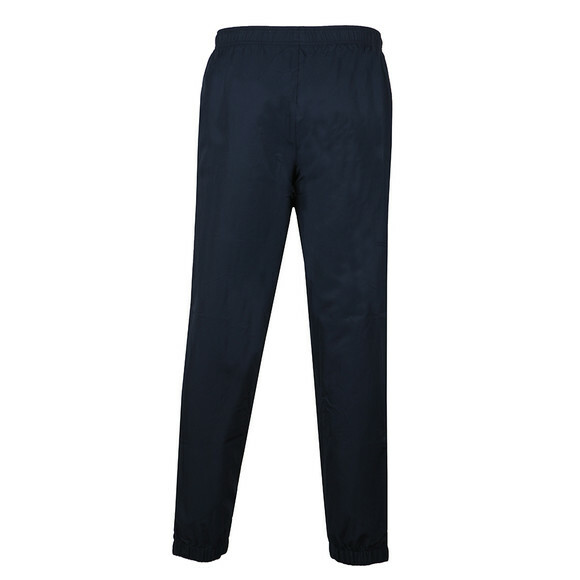 The trousers have zips at the calves for easy on and off and a side stripe detail. Handwarmer pockets have been added at the hips. 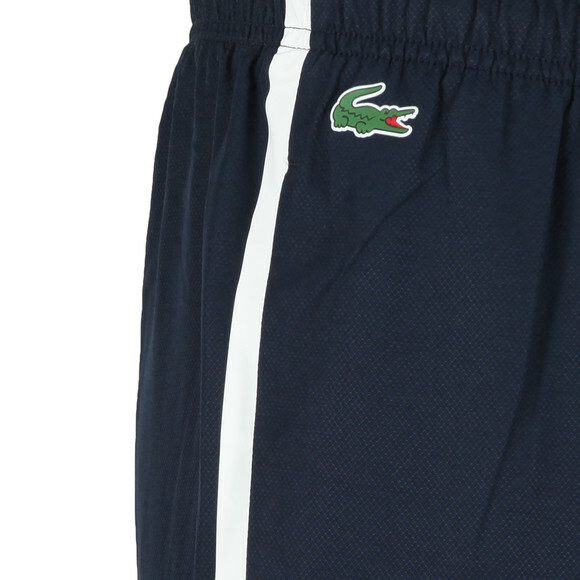 Finished with a rubberised Lacoste Crocodile logo on the right hip.